Finding products to multitask can be a bit tricky when it comes to showing your skin some love. Some products just offer one service which is great but not ideal if time isn't on your hands. Garnier Pure 3in1 Wash Mask. Great for busy bee's who are in a rush and haven't got time to do all 3! On the back is great detailed information to let you know if this is suited for you and your needs. imperfections, blackheads and excess surface sebum. 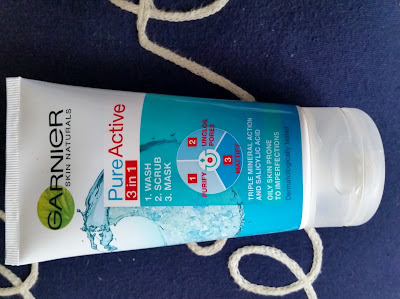 IS GARNIER 3in1 RIGHT FOR ME? prone to impurities, open pores and shine. it intensely cleanses and eliminates impurities. to remove dead skin cells and unclog pores. it helps mattify the skins appearance. Wash: Apply to wet face daily. 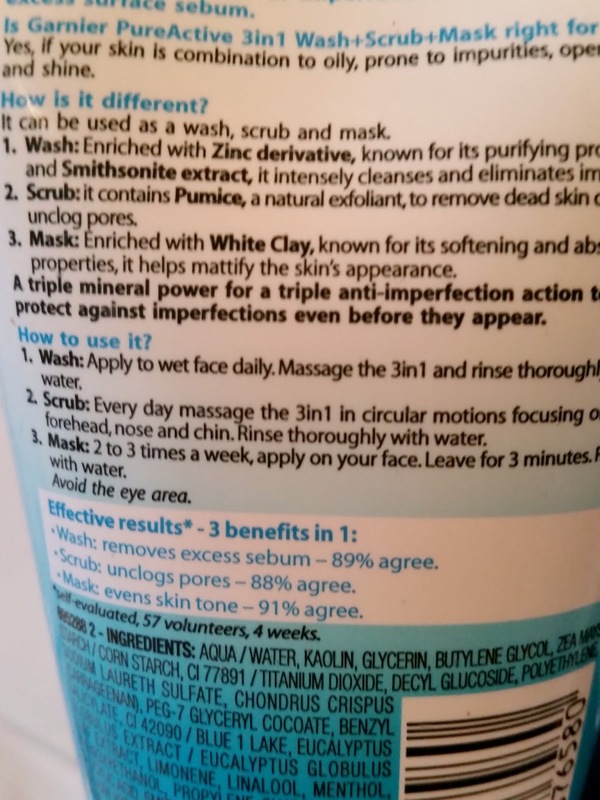 Massage the 3in1 and rinse thoroughly. 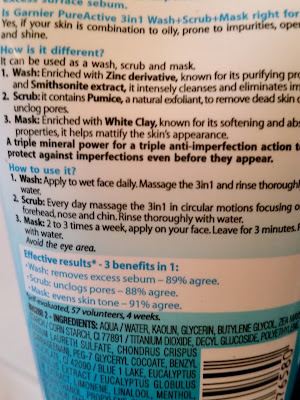 Scrub: Every day massage the 3in1 in circular motions focusing on the forehead, nose and chin. Leave for 3 minutes. Rinse with water. very own multitasker facial at home. For this to purify, unclog pores and mattify you couldn't ask more from a facial wash! 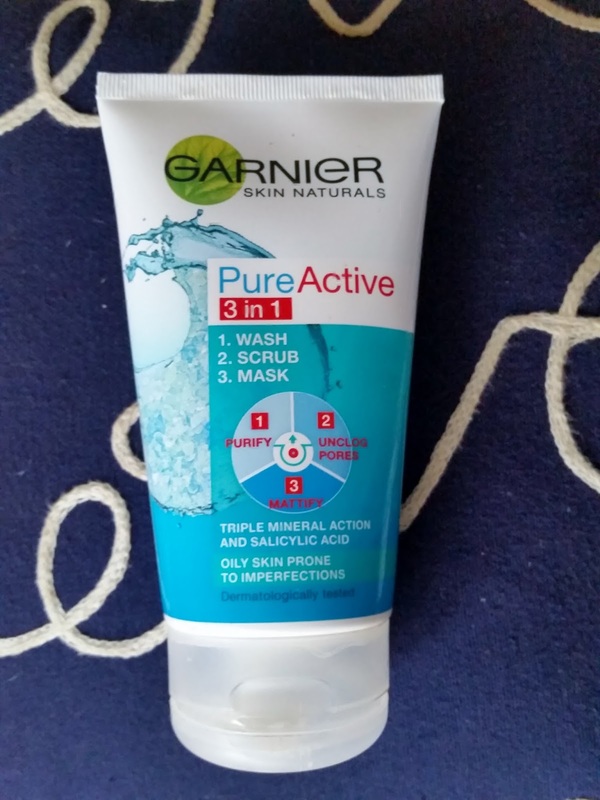 This is of medium consistency and a small amount is only needed to cover your whole face. It does have that Garnier Pure distinct smell to it but isn't off putting, more like a clean fresh smell. The scrub is really gentle but effective and isn't harsh on your skin at all. Your face does really feel exfoliated and clean. The mask is a great idea to put on when your in the bath, to lay back and let its magic work. It washes off really easily and no residue is left. Your skin is left clean, refreshed and as of NEW!